Clean and energy efficient radiant heating provides the ultimate in comfort. New England Cooling Towers, Inc. offers several radiant heat solutions for commercial and residential applications. 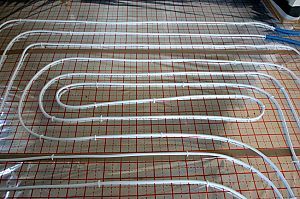 Radiant heat is healthier for you because it does not blow dirt, dust and bacteria around. In addition, radiant heat does not dry out your breathing passages like a forced air system, leaving them more vulnerable to infection. According to the American Society of Heating Refrigeration and Air-Conditioning Engineers (ASHRAE), a typical radiant heated home in the United States can expect a 25% energy savings over a conventional forced air home.